What can I say about the G2 ? Probably the best machine Ive used here in the UK, light in weight, lightening quick on the targets and around the iron, this machine brought to life my old, worn out sites! Ive hit Gold, silver, artefacts of all ages and most of all brought back the genuine fun of detecting for me, a winner! The G2 is hand down the best machine I've ever used in mineralized soil and or iron infested sites. With it's super fast recovery speed and 19 kHz this detector virtually sees right through ground mineralization and trash. Also ground balances to salt so it is good in the wet salty sand too. The G2 is a true all around detector! It excels at relics, coins, and gold alike. The target separation and recovery speed are unmatched in the field. This is a must buy for the beginner and advanced detectorist. So far, I have roughly 20 hours behind this machine and I can already tell that it's going to be a detector I use regularly, especially in sites with high iron. The machine is really fast and does a great job at target separation. The G2 is an amazing machine on the market. I mainly do Civil War relic hunting and a lot of my sites contain iron and mineralization in them. The G2 is designed to pick up these targets that are masked by the iron. It has several features that can get through the mineralization as well as the red Georgia clay that I have to fight through. I found an eagle button that was masked by two nails and it read in very well. It's a machine that I would recommend for anybody in the hobby of serious relic hunting. My husband tried to get me to metal detect for years. I once tried another brand's machine and was so frustrated by the "chattiness" that I felt overwhelmed and did not enjoy the experience at all. I was finally convinced to give it another try - this time with the Teknetics G2 . What a difference!! Very easy to learn (even for a beginner), lightweight and powerful. Among the features of the G2 that I really like is the iron audio. We hunt, many times, with no discrimination in heavy iron sites. As you can imagine, that can get quite noisy! The ability lower the volume of the iron without sacrificing depth by raising the discrimination makes this machine a top notch relic detector. The backlit screen is also a nice plus. I bought this after selling my CTX 3030, I wanted an easy to use detector with good depth and discrimination in iron. I have been very surprised at the excellent performance of the G2 . I have found medieval gold ring, silver hammered coins, seals and roman coins. The machine is so easy to set up and with a week or so learning the sounds you can have very good discrimination. Highly recommended! I’ve used this machine in many places from the land to the beach. It is an amazing detector for the price! Has no problem in wet sand at the beach, gets great depth, and is easy to use. Definitely recommend this machine for anyone whether your just getting started, or if you are a pro. The G2 is an amazing detector! From coin shooting to relic hunting it really covers all of the types of detecting that you may encounter. Being in an incredibly trashy area with tons of iron is not a problem with the adjustable iron audio! I would highly suggest this detector to anyone no matter your skillset, the ease of use was a big selling point to me and I have not been let down! The G2 is a fantastic triple threat. Gold prospector - relic hunter - coin shooter. Not many machines can do all three of those things...and perhaps none do it as well as this detector. 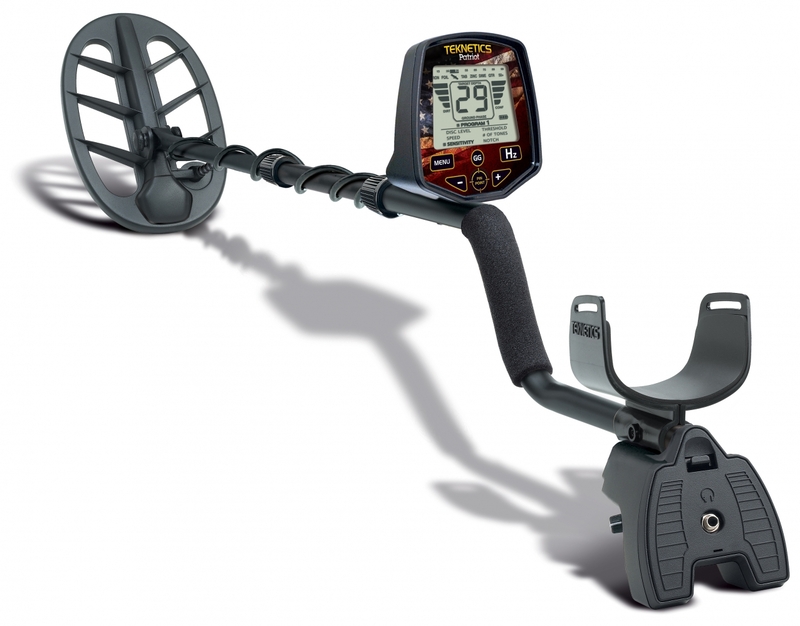 Based off the 19khz Gold Bug Pro this detector is a gold prospector at heart. In all-metal mode it is sensitive enough to pick up a gold nugget the size of #2 bird shot (4.4 grains) at 2 inches. Anything bigger such as a picker the size of a BB (8.5 grains) is loud and clear. It has a very smooth threshold and ability to handle tough soil. A very good gold detector. For the relic hunters it has adjustable iron audio labeled FeTone. This allows you to adjust (or silence) the volume of iron range targets without discriminating them out. For the coin shooter is has a fantastic VBreak that allows you to split the low tone and VCO tone. Also a 20 wide adjustable notch you can place anywhere in the 0-99 range Great detector that finds the goods with ease. Has found me heaps of copper - silver - gold. In my opinion one of the best "do it all" type detectors ever produced.